Are maxi dresses still a trend? I hope so, because they are one of the most comfy summer clothing items I own. Confession: I haven't bought a maxi dress since 2010. 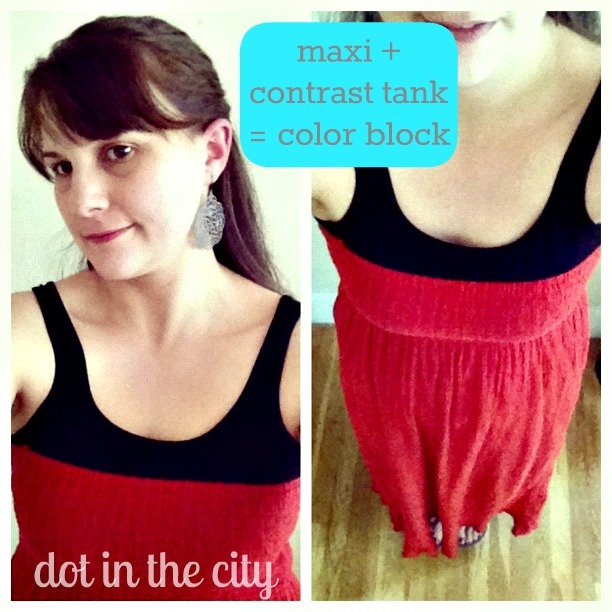 But I have tried to style my dresses differently; this summer I've layered contrasting tanks to update the look and keep it fresh, my take on color blocking. I bought this at Target a few summers ago and used to always wear a navy blue tank with it, but this year I've worn a contrast color to give a color block effect. I don't even remember where I bought this, but judging by the label in it, I think I picked it up at Marshall's or TJMaxx. I never loved the way it looked with straps, so I decided to tuck the straps in and wear a contrasting tank under it. 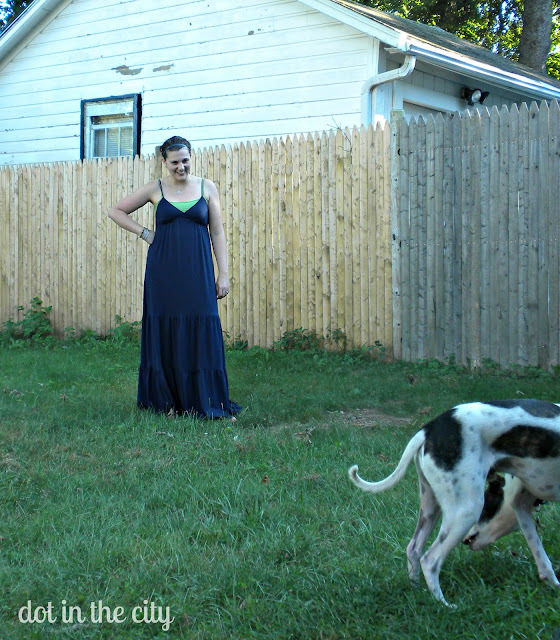 And I'll leave you with an outtake photo...oh, doggie. totally still in style! 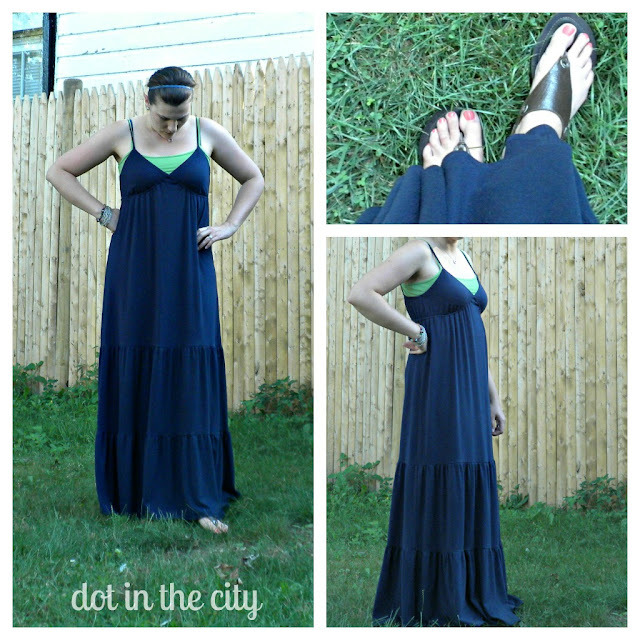 I love maxi dresses, they are so comfy, but because they are a dress you are put together, hehe. yes yes yes! that navy maxi is PERFECT! so versatile, beth! I agree! I love the blue with the punch of color! LOVE! I tried the color blocking thing with my strapless maxi but Mr. E. did NOT like it. :( Bummer - because I did!